Please chose the Name and Number you would like to have on the back of the Hoodie. This fine hoodie will keep you warm when you wander around the woods in the dark searching for supernatural creatures. 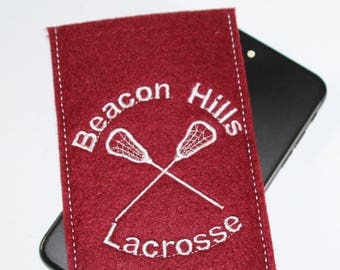 On the back you have the name and number of your favorite Lacrosse players as an application as well. You can order these with any name and number you wish. 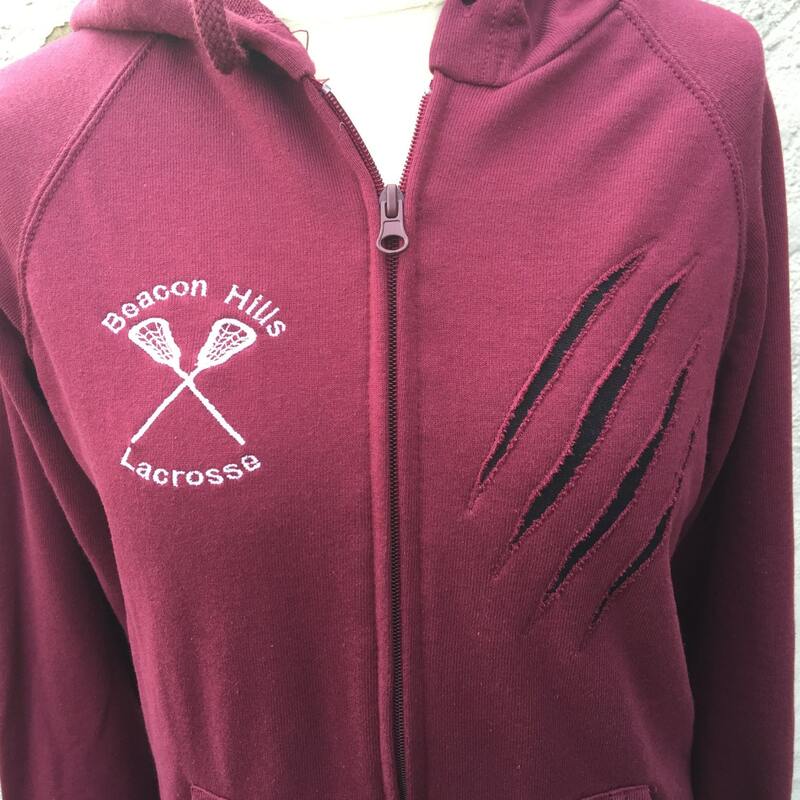 Or even your own name, with the Beacon Hills Lacrosse team logo on the front, and be a part of the team! Just let us know which Name and # you want to rock by entering it as "optional Note to Seller" while completing your order. McCall, Stilinski, Hale, Dunbar, Lahey, Mahealani or anyone else can be your player of choice. Since these are made to order, if you have any request about the placement of the scratches, just let us know. You can chose between a Lady Fit lightweight version or a Unisex Version.